I got to thinking: trestle or bridge? Both, I discovered. A trestle bridge is a span supported by piers or bents (says Google). 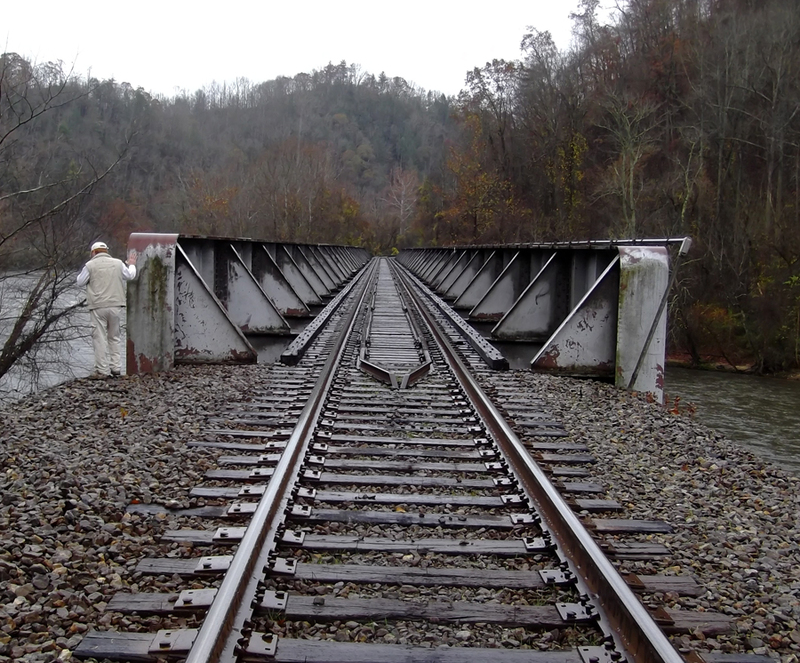 This solidly built deck girder trestle bridge spans the French Broad River near Marshall NC. The man standing to the left is my buddy, who kindly entered the shot to provide a sense of scale. The bridge is over 600′ long.